1. Save Money – Immediately eliminate VAN fees currently being paid by both parties by switching to AS2. 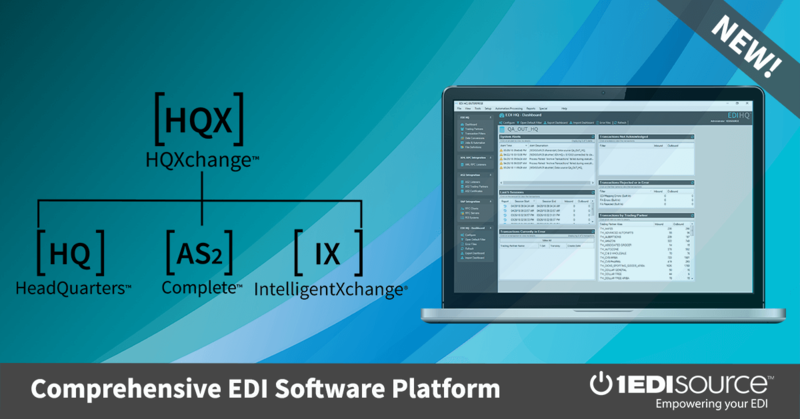 1 EDI Source can help calculate your ROI. Call (877)334-1334 for immediate assistance. 2. Speed – With AS2 Complete your data is sent directly to your Trading Partner eliminating the time lag when data is sent through a traditional VAN. 3. Security – Message content is protected by data encryption and digital signatures. 4. Receipt Confirmations – With the use of standard MDNs you have instant proof that a transmission was sent and received. 5. Mandated by Trading Partner – More and more companies today are mandating the use of AS2. 6. Control – How many times do you have to call your VAN to resend or see if a transmission was “lost”? With AS2 Complete you have 24/7 availability and instant access to your transmissions. Full logging in AS2 Complete ensures that every detail of communications is recorded for future review. 7. Non-EDI Transmissions – Traditional VANs are limited to just sending EDI transmissions. With AS2 any kind of data (XML, PDFs, JPEGs, etc) may be sent not just EDI. 8. Time – Reduce the time and effort to identify “lost” transactions. AS2 Complete provides an easy to use interface to monitor all transactions. 9. Flexibility – Increase flexibility in not only handling Trading Partner transmissions but also in Trading Partner set-up and management. 10. Simplicity – No more waiting on VANs to setup interconnects and no more interconnect fees. AS2 Complete has a simple to use, intuitive interface with built in advanced alerts and built in intuitive filters. Contact 1 EDI Source today to discuss your unique business needs and how we can help you streamline your electronic communications.